A mystic is an idealist in every sense of the word: one who has no ideal cannot be a mystic. It would not be an exaggeration to say that the one who has no ideal lives without life. If there is anything in the world which we can say we live for, it is one thing only – the ideal; and when there is no ideal there is nothing to live for. In Sanskrit religion is called Dharma, which literally means duty. To give a definition of what religion is one can say that it is an unswerving progress towards the ideal. But then what is the ideal? Any ideal or every ideal that we have before us is the ideal for that moment. Ideal can be divided into five aspects, of which the first is the ideal which one has for oneself. It might begin to show itself as a whim, as a dream, as an imagination, even as an expectation of a child. If a child says, 'When I am grown-up I will have an elephant to ride upon, or a beautiful horse', this is an ideal. And this first aspect of the ideal can again be divided into three classes. The first is when one says, 'I shall possess this or that – so much wealth, so many gardens, so many palaces', or, 'I shall surround myself with so much grandeur that I shall appear quite different from anyone else.' The next is when one says, 'I shall be the Prime Minister or the President of the country or have a throne and crown'. And the third class is when one says, 'I shall keep to this particular virtue, I shall be pious', or, 'I shall be good in every sense of the word', or, 'I shall be that which I consider good and beautiful in myself'. There was a young man in Indian history, whose name was Shivaji, and whose story is an example of this first aspect of ideal. He began his life by living on robbery, and one day he came into the presence of a sage, to ask his blessing for success in his robbery. The sage saw in his face, in his eyes, in his voice that here was a real jewel, that there was an ideal in him, although not yet awakened. The sage asked him, 'How many men have you in your gang?' He said, 'No one. I work alone.' The sage said, 'It is a pity. You must form a small band and keep together.' He was glad to take this advice, and he formed a small band of robbers, and continued in his pursuit. He was more successful, and when he visited the sage again the latter said, 'How many are there now in your gang?' He said, 'Only four or five.' The sage told him that this was too few, that he should have at least fifty or a hundred men to do something really worthwhile. And then Shivaji, by the charm of his personality, gathered some more robbers to accompany him and they did many really daring things. They attacked caravans, and they risked their lives, and were very successful. And one day the sage said to him, 'Do you not think that it is a great pity that you, such a hero, who are willing to risk your life and who have won all these friends and made them your companions, do not try to throw out the Moguls [who were occupying the country at that time] at least from our district?' Shivaji agreed. He was prepared, he had drilled, this was something for him to think about. The first attack brought him victory. Then he made a second attack and a third, till he was the chief of the whole province. And he went to the sage to express his gratitude. 'Yes,' the sage said, 'be thankful but not contented, for what you have done is not enough.' And one reads in the history of India that this man nourished the desire to form an Indian empire, but he did not live long enough to achieve it, although during his life he became a wonderful king and a splendid hero whom India will always remember. This was a principle which the robber lived up to. He is a historical person, and in the end this very man became a great murshid, and those around him became his mureeds. One can find his name among the Sufis of the past. This shows how living up to one's principle makes a ladder for a person to climb to the desired goal. The third ideal is the idea of bettering the conditions. Someone thinks, 'I should like my village to be improved. I should like my town to have all comforts and facilities.' Or he thinks, 'I would like my fellow citizens to be better educated, to have more happiness,' or, 'My nation should be honored in the world, and for the honor of my nation I will give my life.' One may think of his race, another of humanity, to better its conditions, to serve it, to be its well-wisher, to bring to it all the good that is possible. The great heroes who have saved their nation through their lifelong service, who have given examples to humanity, who have sacrificed their lives for their people, all had some ideal, they all lived a life which was worthwhile. As great as is a person's ideal, so great is that person. It is the ideal that makes a person great, but at the same time if he is not great his ideal cannot be great. Besides life is a small thing to offer to the ideal, and if life is a small thing, what else is more valuable? Nothing. It is the one who has no ideal who holds on to everything and says, 'This is mine, and I am very anxious to keep it!' The one with an ideal is generous. There is nothing that he will keep back, for his ideal he will give everything, and it is that person who is a living being. The fourth aspect of the ideal is when one idealizes a person. One man sees his ideal in his child, in his mother, in his father, ancestor, friend, in his beloved, or his teacher. No doubt this ideal is greater than all others, for in this ideal there is a miraculous power: it awakens life and gives life to dead things. There are however difficulties in following this ideal to the end, for when we idealize a person, naturally he cannot always come up to our expectations, for our ideal moves faster than the progress of this living being. Besides, when one idealizes a person one wishes to cover one's eyes from all his shortcomings. One wishes to see only what is good and noble in him. But there come moments when the other side of that person is also seen, for goodness cannot exist without badness and beauty cannot exist without the lack of it. Very often beauty covers ugliness and ugliness covers beauty, very often goodness covers evil and evil covers goodness; but both opposites are always present. If not, man would not be man. An idealist will see all that is good and beautiful in the one he idealizes; yet he keeps the object of his ideal before his eyes. His mind can idealize, but his eyes cannot remain closed. His heart takes him to heaven, but his eyes hold him fast on earth and there is always a conflict. And when it happens that the person whom one has idealized falls short of the goodness and beauty which one had expected him to possess, then one becomes disheartened, and one wonders whether there is anything in this world that could be ideal. We see that emotional people are apt to idealize quickly, but are also apt to cast down the object of their idealization quickly. To keep up an ideal which is living on earth and which is before one's eyes is the hardest thing there is, unless one has such balance that one will never waver and such compassion that one is able at one's own expense to add to the ideal all that it lacks. This is the only way in which one can hold on to a living ideal, otherwise what happens is that one says during the waxing of the ideal, 'You are so good. You are so kind. You are so great,' and during the waning of the ideal one says, 'But you are unjust. You are thoughtless. You are inconsiderate. I am disillusioned. You are not what I expected you to be.' It is so natural, and at the same time it is not the ideal which has fallen. The one who has fallen is the one who climbed the ladder of the ideal and went too high, and then he has to come down again till he stands on the same level as before. Also belonging to this fourth aspect of the ideal is the idealizing of a historical or legendary person, of a dramatic character of the past, a personality who is not before one. This one can maintain better, for it gives one scope for adding all the goodness and beauty one wishes to add. And at the same time it will never disappoint one, because it will never appear different from that which one has made of it in one's heart. The gods and goddesses of the ancient Egyptians, Indians and Greeks were made to represent certain types of character, and in order that a worshipper might be impressed by a certain character these gods and goddesses were held up as objects of devotion, as something to keep before one, as an ideal. Besides the great prophets and teachers and saviors of humanity have been the ideals made for centuries by writers, by poets, by devotees, by thinkers, as good and as beautiful as they could be made. No doubt others have looked at them differently and have held the ideal of someone else to be less than their own. Nevertheless, the benefit that they derived from devotion to such an ideal lay in the seeking of a character, of a certain beauty, of a virtue, which would always help them to arrive at that stage which is the desired goal of all beings. The fifth aspect of the ideal is God, the perfect ideal, an ideal which cannot change, which cannot be broken, which remains always steady for the reason that God is not within man's reach. If God were within his reach then he would try to test Him, too!. It is just as well that He is not. It is in this ideal that one finds life's fulfillment, and all other ideals are but stepping stones, steps towards this perfect ideal, an ideal which shows no sign of imperfection; for God is goodness, God is justice, God is might, God is intelligence, all-knowing, God is all beauty, God is everlasting. To a mystic the ideal is his religion, and he looks upon every person's ideal as a religion. He respects it before weighing and measuring and analyzing what ideal it is. 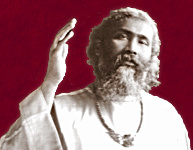 The ideal itself is sacred to a mystic, and thus it is the central theme of his life; it is in the ideal that the mystic finds both his way and his goal.